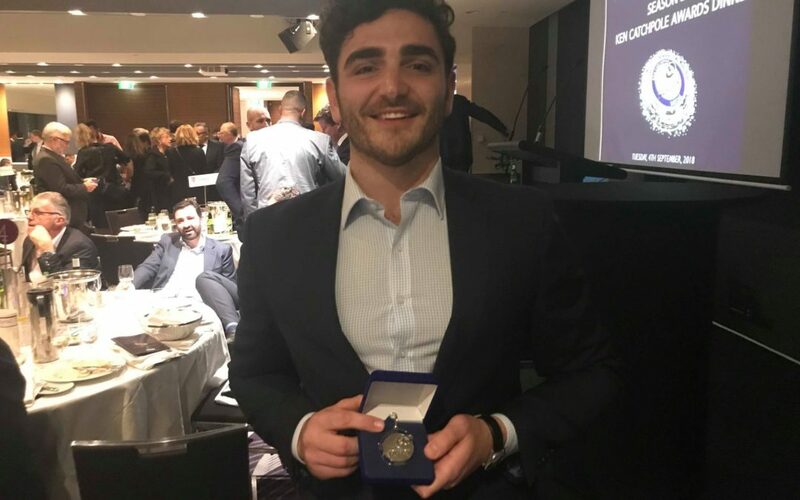 The result was announced to huge cheers from the audience at the Hilton Hotel, and came as a surprise to Musico given the Two Blues’ 10th-place finish in the Sydney club competition. Sydney University won the Shield after beating Warringah 45-12 on Saturday. “It was a huge shock to be honest, I had no idea,” Musico said. Two Blues president Brian Blacklock said the win was a reflection of the competition’s values. “We were completely shocked and blown away but when you know Adrian and what a great character he is, he’s not only an excellent player over the ball, who topped the tackle count last year, but he also has the respect of the referees,” Blacklock said. “We are re-branding to the Western Sydney Two Blues to broaden our reach beyond Parramatta,” he said.